Střední průmyslová škola stavební a Obchodní akademie (Secondary Technical School of Civil Engineering and Business Academy) in Kladno, 25 kilometres northwest of Prague, previously had two separate analogue PBX systems from Panasonic, which had been in place for 25 years and whose limited features were beginning to hold staff back. For instance, there were no direct dial numbers, so all incoming calls were routed through the school secretary, causing an administrative burden and potential bottleneck. The old system also had analogue central office lines, with most rooms not having a phone of their own for teachers to use to make and receive calls. The two PBX systems for each building were also different Panasonic models, making things difficult and complex to maintain. The analog wiring had been in place for so long knowledge about it had also been lost. In summary, the phone system was clearly limiting effective communication. The school needed a solution whereby all the rooms could have their own phone with a separate extension as well as a direct number, caller ID and a log of missed and received calls. None of this was available with the ageing incumbent analogue system, and it was clear there was a need for an update. 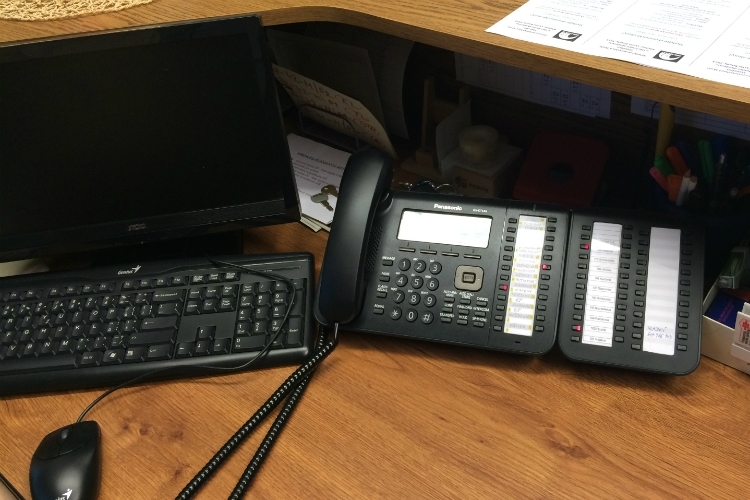 As the school was already having new structured LAN cabling installed in the buildings, it was the perfect time to move straight to the latest IP technology with the phone system upgrade. 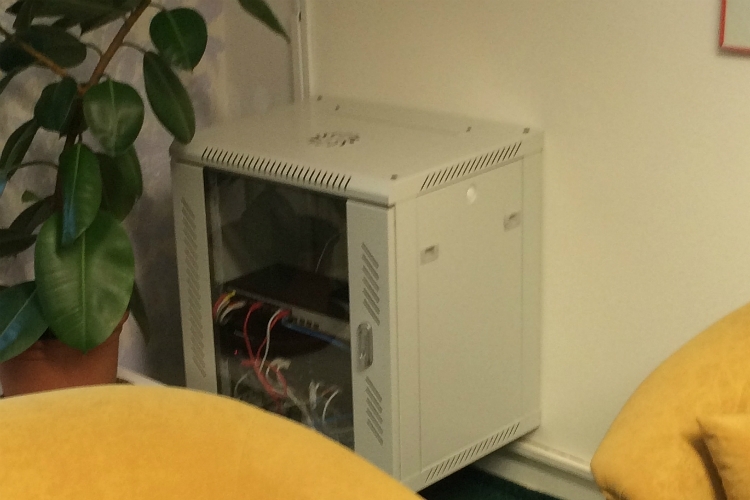 Local installer ISC Communication Czech a.s. worked on the project and recommended Panasonic’s KX-NS500 smart hybrid PBX, with the single unit covering both buildings. The basic system can support from 6 analogue trunks and 18 extensions, up to 288 extensions with additional Expansion Units. Users also have access to additional features such as mobile linking, integrated voice and email, as well as presence information. 44 KX-HDV130 SIP phone handsets were also fitted into the various rooms within the school alongside two KX-TGP600 wireless phone systems. The new system has also enabled the Head Teacher and Deputy Head Teacher to have their own wireless DECT handsets (KX-TCA285), giving them additional mobility and flexibility that the incumbent 20-year-old system simply could not provide. The KX-TCA285 DECT handset is slim and light, making it perfect for highly mobile, active professional environments. "Switching to the IP system means that they can make internal calls at no cost"
Additionally, the KX-TCA285 automatically adjusts the receiver volume to an easy-to-hear level if it detects noise when moving from a quiet place to a noisy place, providing comfortable voice calls without stress. The feature is particularly well suited for noisy school environments. 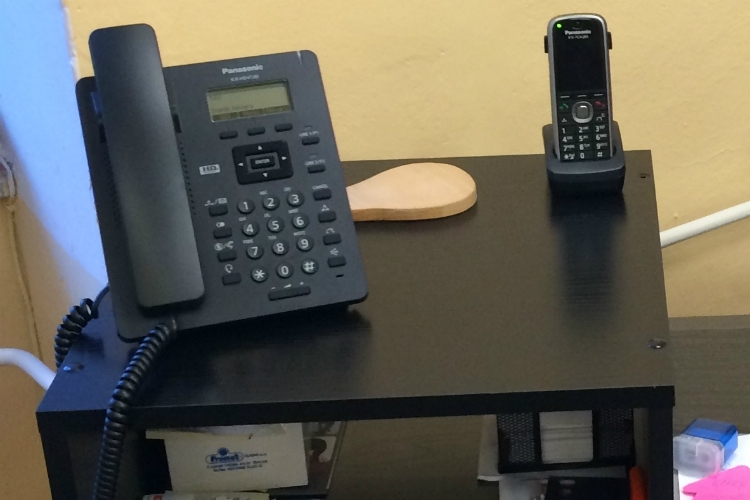 The direct dial functionality enabled by the new system has also freed up the school secretary’s time in a major way. They no longer have to personally take and direct every call that comes in, as anyone wishing to call someone else internally, and knows their number, can quickly and easily do so. 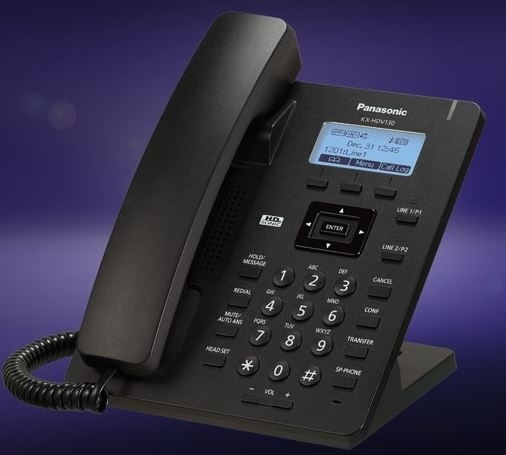 "staff tell us that being able to see caller details and name during an incoming call is very beneficial"
Clemens Kerpes, Panasonic Communication Sales Manager for Eastern Europe, said, “It is a familiar story in the Czech Republic, with many schools having similarly old wired PBX systems. “Switching to the IP system means that they can make internal calls at no cost, easily add new phone lines when they need to do so and have the whole system maintained remotely.